Tented glamping with a medieval theme. Canvas tent accommodations, wooden floor, with breakfast. Electrical outlets. Pavilion accommodates family or couples. All-inclusive weekend packages. Groups welcome. Available for private bookings, weddings, team building, family reunions, celebrations and events. Online booking recommended. Activities: archery, yard games, workshops. Located about one hour north of Calgary. 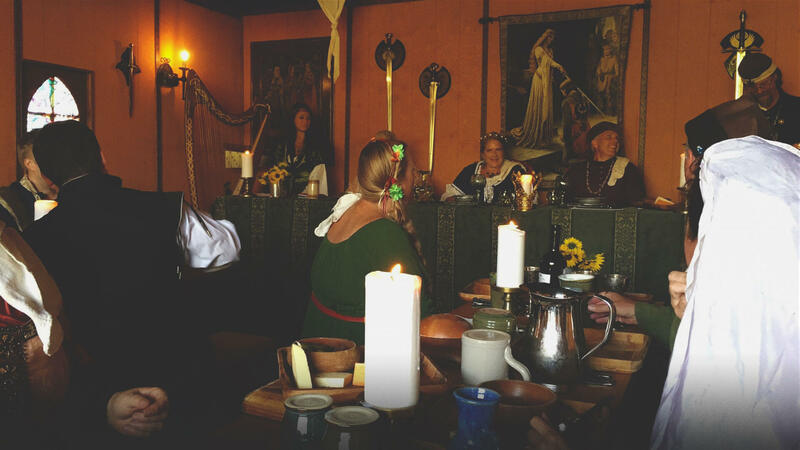 Combine your love of glamping with an immersion in medieval experiences in this outdoor bed & breakfast. Travel back to the time of knights, feasts, and acts of bravery. Your accommodations are canvas tents with wooden floors and real beds. There’s electricity, breakfast, workshops, and fun games to do outside. 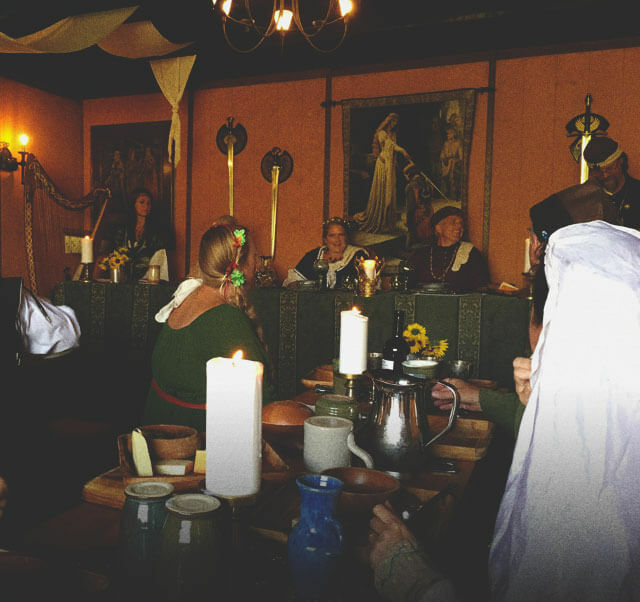 Check out one of the two medieval feasts held each month, where you can dine with the Lord and Lady and enjoy a dinner that takes you back in time with performances, activities, and recipes straight from the past!